Khan Mohammdi afghan rug with vernacular geomterical patterns in a mix of red, maroon and burnt orange with tinges of black. This beauty is one of a kind and will make any room stand out with its brilliant colors and great craftsmanship. 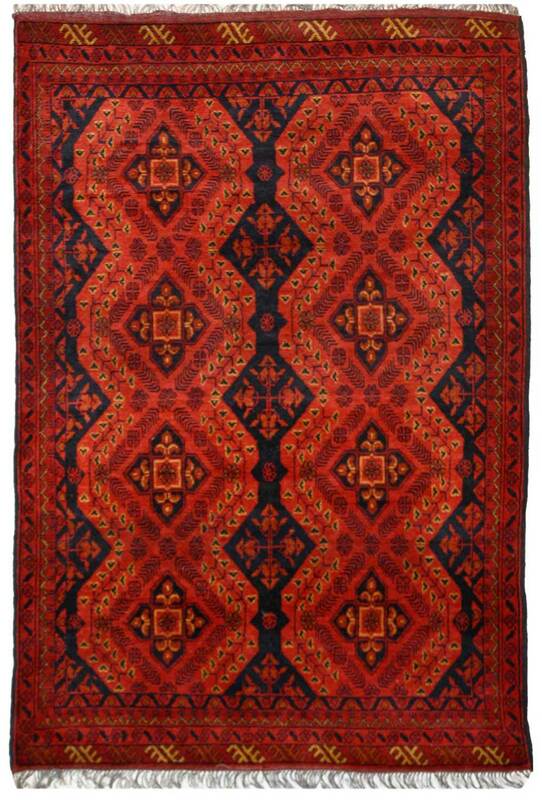 Exclusive handmade Khan Mohammdi rug with its roots from afghan tribal area. Bold geometrical patterns with intricate design motifs. Vegetable dyed tassels giving it a herbal look.